Free yourself! Let's run for freedom in a fun and colorful way! 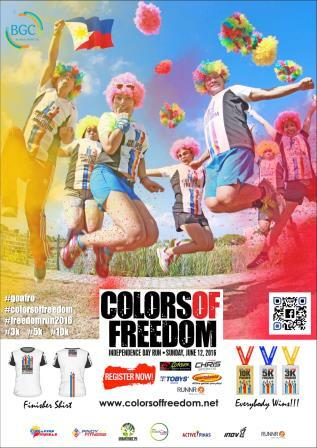 This coming Independence Day, June 12, 2016, a colorful and exciting fun run is designed to celebrate the holiday. 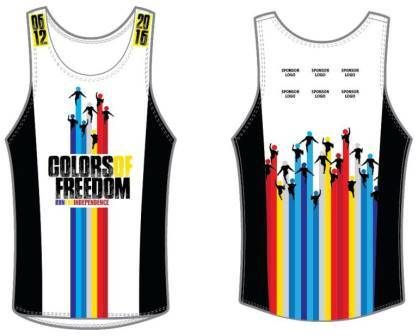 Whiplash Events Management in cooperation with key partners is organizing a fun run dubbed as the “COLORS OF FREEDOM 2016: Independence Day Run." The vision is to make this National Holiday a fun, healthy and momentous day for Filipinos and our international contingents. 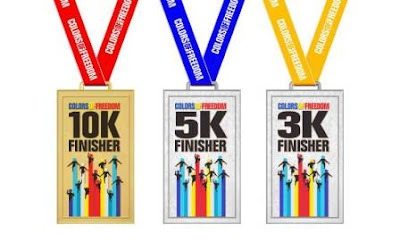 The ‘freedom’ run is expected to gather a crowd of runners who can participate and enjoy the interactive program line-up. The event combines the drama of a fun run amidst an urban playground bursting in vivid color. 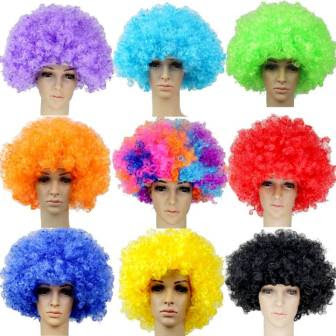 The party is not complete without you…drag some friends and family, wear wigs, throw some e colored powder and take loads of freedom day selfies/wefies to express to the World your love for Philippine Independence. Sponsor Freebies / Hydration / Baller / Philippine Flaglet / Party!!! AUDITORun 2016: The Run of the Auditors!